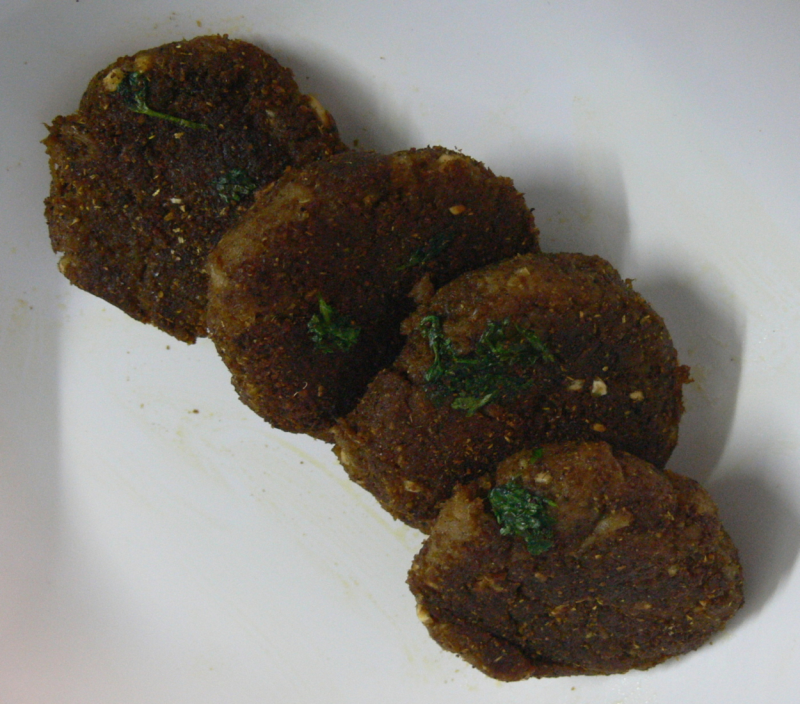 Easy to do kebab but a deep-fried one like patties. Mix all the ingredients, except ghee and refined oil and cook(saute) on medium heat for 15 mins till the water evaporates.Allow it to cool. After 20 mins,grind to a fine paste without adding water.Shape into round patties. Heat ghee and refined oil in a kadai and deep-fry these patties till golden-brown. Serve with tomato ketchup and lemon wedges. U can add 75-100gm minced mutton and split-besan flour 1 tbsp more,if u find it too spicy. Thank u so much Shamama and Imran!.Surely,this will turn out good.Happy Cooking!. wow, nice one Christy. i like the name.